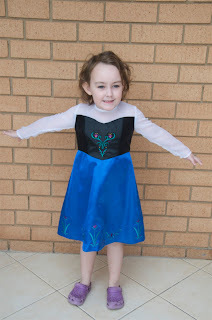 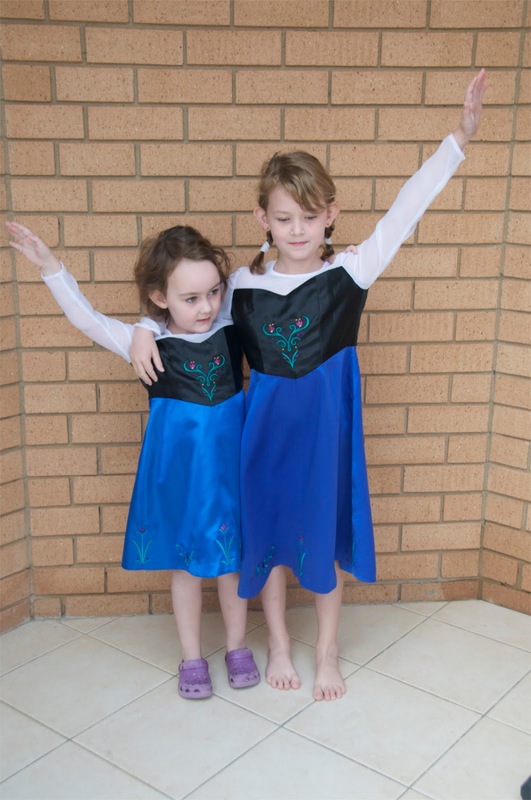 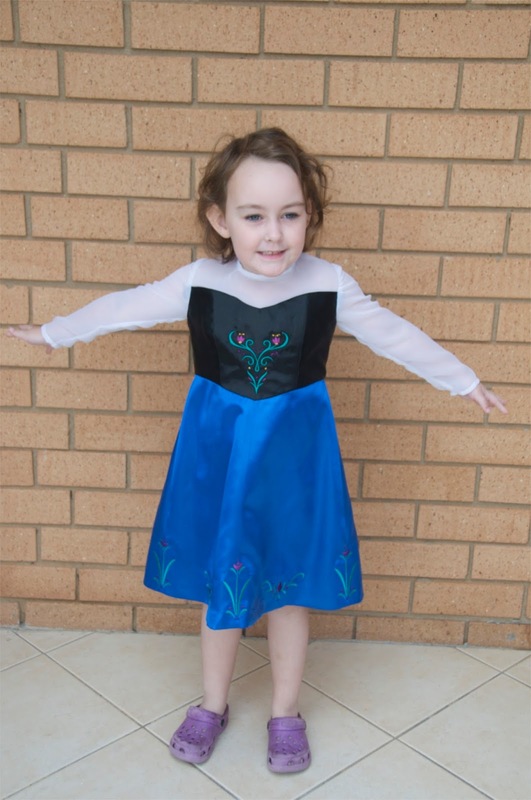 Emma and Olivia both asked for Princess Anna (Frozen) dresses for Christmas but for various reasons (mainly my sewing machine being in the shop for repairs for 3 weeks) I didn't finish them until April. The decoration also caused some problems. 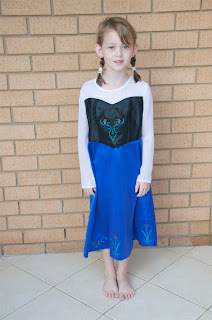 I was going to use the applique design that came with the pattern (McCall's 7000) but it was a bit a bit too big and clunky so I bought a machine embroidery design from My Sewing Art (through Etsy I think) and it stitched out beautifully.